China-Malaysia Qinzhou Industrial Park in the Guangxi Zhuang autonomous region aims to explore a new model in cross-border cooperation between such parks, said Gao Pu, deputy director of the industrial park's management committee. A major cooperation project between China and Malaysia, the park was unveiled in 2012 in Qinzhou, a coastal city in Guangxi. Its counterpart, the Malaysia-China Kuantan Industrial Park, opened in 2013 in Kuantan, Malaysia. 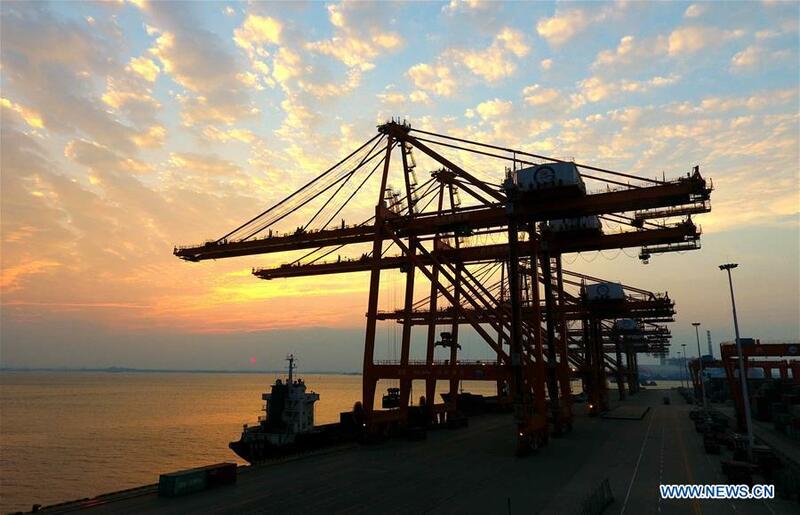 Qinzhou is a port city located near the Beibu Gulf, a hub in China's links with Southeast Asian countries. The city serves as a strategic point on the 21st Century Maritime Silk Road, part of the Belt and Road Initiative. "The industrial park brings economic cooperation between China and Malaysia and other ASEAN countries closer," Gao said, referring to the Association of Southeast Asian Nations. "It is especially important for China, given the growing trade frictions between China and the United States." Last year, trade volume between China and Malaysia exceeded $100 billion, a big share of the total volume of around $500 billion between China and ASEAN countries. Gao said the park is a platform for China's emerging strategic industries, such as high-end manufacturing and equipment and biotechnology, to "go global" and for China to bring in competitive industries from ASEAN countries, such as rubber making, Halal food manufacturing and palm oil processing. SDL Technology Co, a manufacturer of curved mobile phone screens for Samsung, is one of the enterprises that have settled down in the industrial park. Liu Yufeng, a senior manager of the company, said Qinzhou was chosen for the industrial park because of its relatively cheap labor and its proximity to Vietnam, a major Southeast Asian market for Samsung. He said most of the mobile phone screens made by SDL and used on Samsung products are shipped to Vietnam. The company's more than 400 employees can produce 30,000 mobile phone screens a day. They also manufacture backplanes for mobile phones and bulletproof backpacks. HebaBiz Pharmaceutical Technology Co is a manufacturer of traditional Chinese medicine based in the Qinzhou Industrial Park. The company has established cooperation with Malaysia's leading traditional healthcare company, Hai-O, as well as traditional medicine companies in Indonesia and the Philippines. In addition to Chinese companies, the industrial park has also attracted companies from Malaysia. Malaysia is the second-largest exporter to China of edible bird's nests, which are seen as a delicacy to many Chinese. Only Indonesia ships more. Five Malaysian companies have settled down in the industrial park to process raw bird's nests, which contain feathers and droppings. "China and ASEAN countries are complementary in their trade relations," Gao said. "We will continue to explore new avenues of industrial cooperation between the two sides."